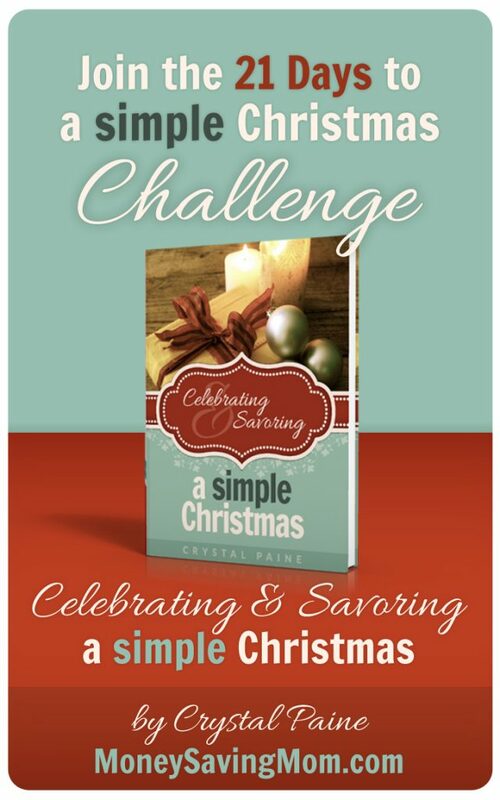 It’s Day 3 of the 21 Days to a Simple Christmas Challenge! Now that you’ve got your Christmas budget in place, it’s time to figure out your Christmas gift list. If you haven’t had time to write down a gift list, today’s the day to do it! Think of everyone you need/want to buy gifts for and then make a master list. 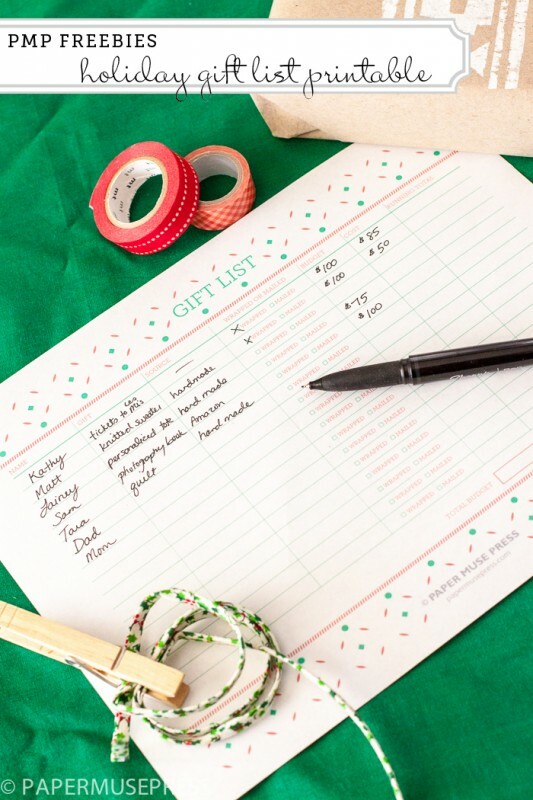 You can use one of these free printable gift list spreadsheets, if you’d like. Once you have your list written, step back and evaluate it. Do you need to be buying for everyone on that list? Can you afford to buy something for everyone on the list? If not, do you have time to make something for them? Pare down your list, if need be, based upon the answers to these questions. This is not because you are not generous or cold-hearted, but because sometimes you just have to face the reality that you can’t do it all. Streamlining and simplifying your gift list so that you have breathing room and aren’t exhausted, stressed, and overwhelmed all December could be one of the best gifts you could give those closest to you — the gift of your presence! 2. Make a list of everyone you’ll be buying gifts for this Christmas. Evaluate each recipient to make sure they are someone that should be on your list. 3. Come back at around 9 p.m. EST tonight and I’ll have a follow-up post sharing about our Christmas gift list and encouraging you to share about yours, too! We’ve cut back on gift giving for economic as well as simplicity reasons. We don’t like traveling out of state with our little kids, watching relatives imbibe too much, listening to longstanding family feuds, and staying at a crummy hotel and spending oodles of money on gas for the “privilege”, so we don’t go to the extended family gatherings. That cuts out a lot of hoopla and expense right there! And then just our own three kids, ages 7, 3, and the baby will be 1 on Christmas Eve. I fill a stocking with treats for me and my DH- stuff I don’t usually buy at the grocery store except for Christmas. We don’t otherwise exchange gifts. Other people we care about, we send a photo card but no annoying Christmas brag letter. We’re spending Christmas Day with local friends, and I’ll take some edible treats for all of us to share. I love to get Christmas letters, even if they do involve some bragging. I hope they never go out of style! I have tried several times to sign up for the Christmas book, but haven’t been successful. What else can I do? Email crystal@moneysavingmom.com — so sorry for the issues you’re having!